This is the upgrade your boat has been waiting for! There has never been a better time to update and upgrade your winches with Andersen. 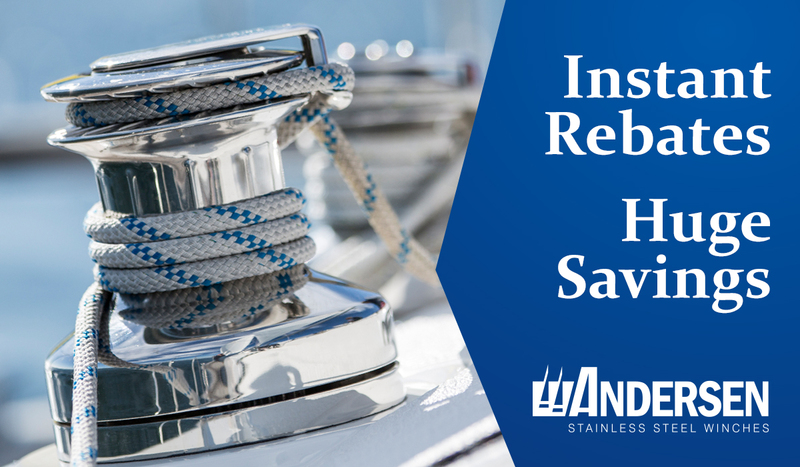 Andersen Winches is offering an instant rebate program on your purchase of new winches so you can save up to $300 per winch. This deal is only available for purchases made between April 1 st and May 31 st , 2019, so do not wait!